I’m so excited! With busy season through mid-September, and then my daughter’s wedding in mid-October, I feel like I haven’t had much time to craft. Therefore, I’m so excited that I finally finished something. I’ve haven’t really shown you much of my crochet work prior to now. Just know, that I always have at least one (read this as 2-4, some more difficult than others) crochet project(s) in the works at one time. However, I typically only crochet when I don’t have access to my sewing machine. So, I’ll crochet when riding in the car, waiting in the doctor’s office, etc. Meaning that a project that might normally be pretty quick for me to push out, ends up taking quite a bit longer. 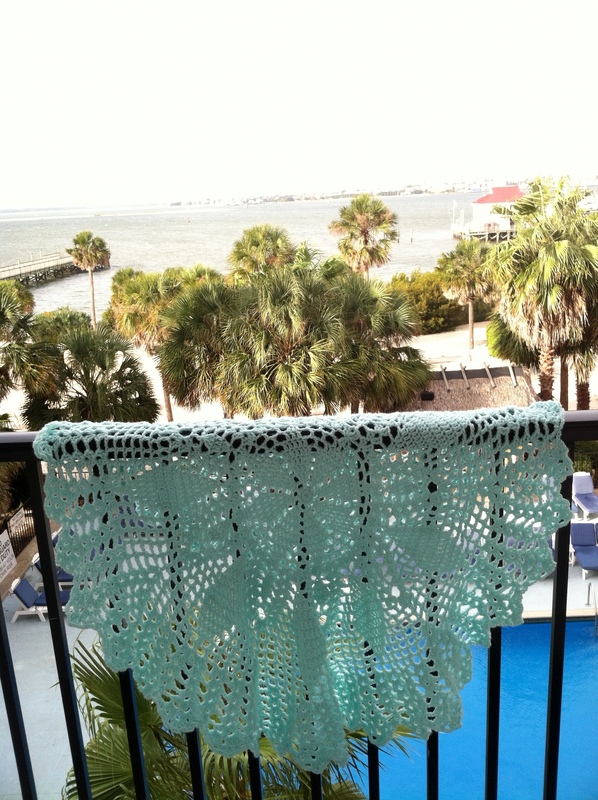 So during my trip to Charleston, I was able to finish this beautiful baby blanket. This is one of the simplest crochet projects I’ve done in a while. 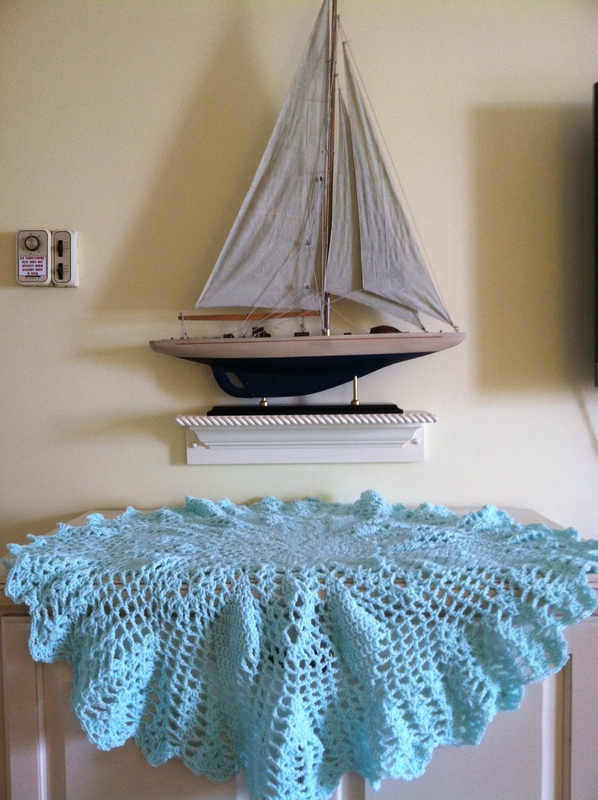 The pattern is from the booklet “More Circular Baby Afghans” by Leisure Arts and was very easy to follow. I thought I would take pictures of it while I was here in this beautiful city. As much as I love to make my own quilt patterns, designing my own crochet patterns is much more challenging to me. 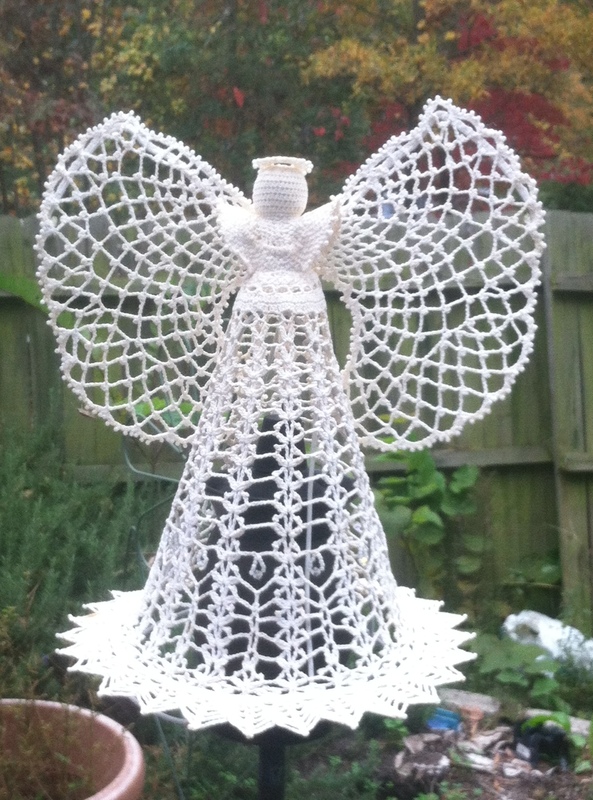 About 2 years ago I made an angel for our tree. This is an original design. I made it up as I went along, but converting this into a pattern for others to follow is beyond my skills. Wonder if there’s an app for that? 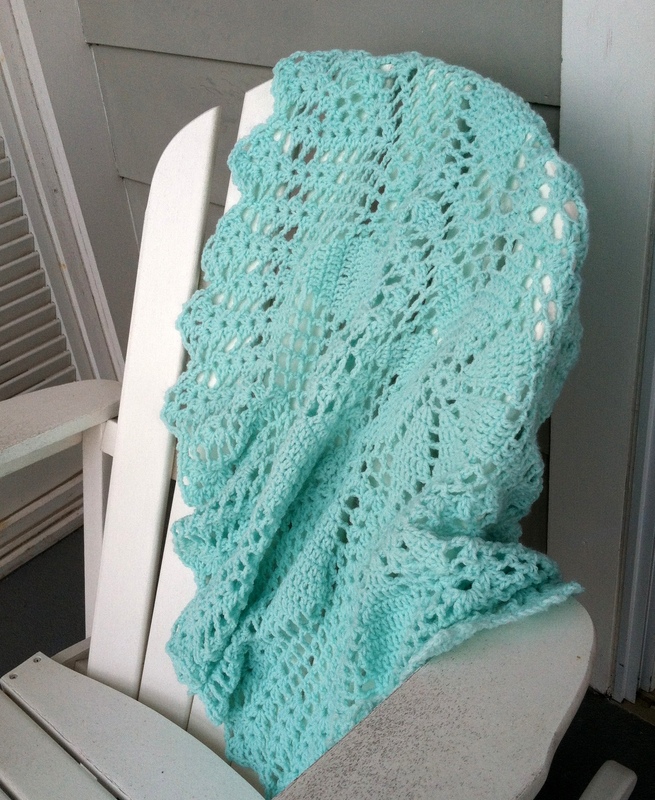 This entry was posted in Crochet/Knitting and tagged afghan, angel, baby, baby blanket, crochet, mint by monkeyneedle. Bookmark the permalink. Beautiful afghan and the angel you created is gorgeous!